At first glance, they look like nothing more interesting than rocks. 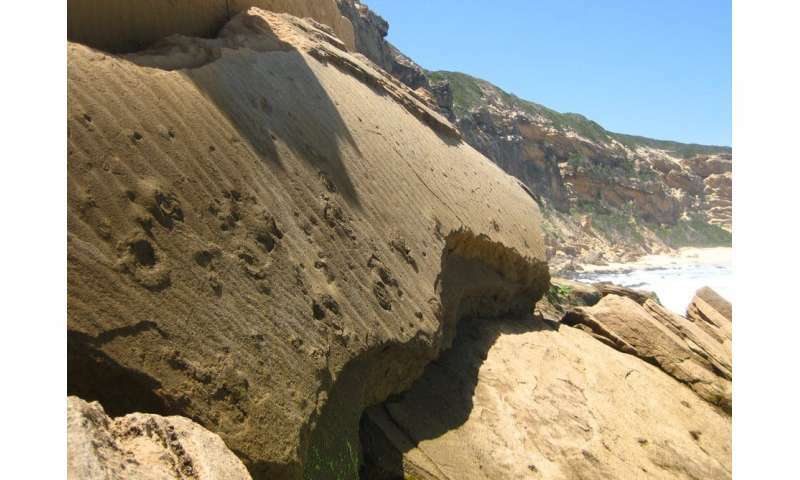 But to our research team, these two rocks – situated just 420 metres apart on a rugged, remote portion of South Africa's Cape south coast – are fascinating and important pieces of ancient history. The rocks are described in a paper based on research that's part of a decade-long multi-disciplinary study along a 350km stretch of this particular coastline. It's been rewarding work. We've identified more than 130 sites containing trackways made by vertebrates during the Pleistocene era, dating back to between 36 000 and 140 000 years ago. We've also found 40 hominin tracks on the ceiling and side walls of a coastal cave. These may represent the first known example of humans jogging. Tracksites like these are scientifically important. They can be thought of as a movie that can tell stories about prehistoric humans as well as animal behaviour, and how many species were in a place at a particular point in time. They also have heritage and aesthetic value. These rocks, and similar finds, are a reminder that it's important to regularly survey and document southern Africa's coastlines. 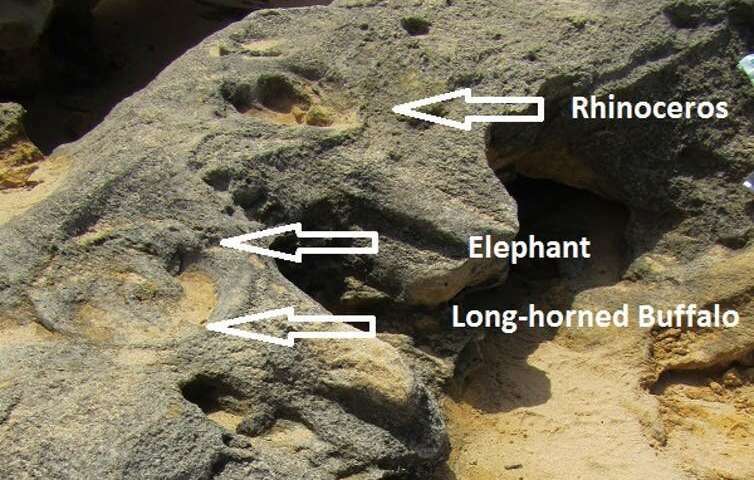 Fossils and trackways can be recorded through cast replicas and detailed photographs. This will allow more people to "read the rocks" and decipher our past. The rocks that sparked our latest paper lie to the east of a small town in South Africa called Still Bay. The first rock was initially described in 2008; we later named it Roberts Rock in honour of Dr. David Roberts, who discovered it. Both rocks contained tracks on multiple layers. This suggests repeated use of an area over time, and possibly that the rocks were close to a water source. Using the results from dated samples from sites nearby, we've inferred that most of the tracks in this area are between 116 000 and 128 000 years old. These rocks are just two highlights in an area that's remarkably rich in trace fossils, and which preserves some of the activities of the Pleistocene fauna in exquisite detail. All this provides a glimpse of Pleistocene dune life and suggests an area teeming with large mammals. One of the realities we've had to come to terms with, working on these coastal bluffs, is that the tracksites we find are ephemeral and unstable. High tides and storm surges batter the bluffs; many fragile sites are destroyed through erosion, while new ones appear.